Auto Dealer Monthly this week announced the winners of the annual Dealers’ Choice Awards for 2014, and ProMax Unlimited once again took home top honors. ProMax won the Diamond award for both Desking and Direct Mail, and the Gold award for Customer Relationship Management (CRM). 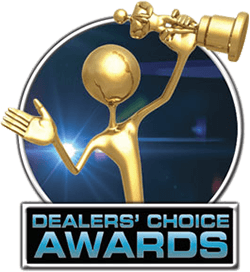 The ADM Dealers’ Choice Awards represent the industry standard of excellence, and are chosen based on votes cast by dealership personnel. ABOUT THE AUTO DEALER MONTHLY (ADM) DEALERS' CHOICE AWARDS: The Auto Dealer Monthly awards represent the industry standard of excellence. They have been awarded for ten years, and are based solely on votes cast by dealers and dealership personnel. Dealers rate companies based on the product or service it provides, customer service, the overall value of the product or service, and if they would be willing to recommend the provider to another dealer. The awards serve as the premier forum for dealers looking for new product and service providers. Dealer Marketing Services, Inc. was formed in 1994 by John Palmer. In August of 1995, ProMax was introduced as a Special Finance software solution. In 1998, the software was expanded to handle all types of desking including new and used vehicle leasing, CRM, finance menus, inventory management, reports, and credit application submissions to lenders. In 2002, ProMax was introduced as the industry's first Internet-based full front end solution and today is used by over 2,000 automotive dealerships. The ProMax Unlimited internet application integrates with dealership DMS systems and can be used effectively in large dealer group situations as well as single location dealerships. Dealer Marketing Services, Inc. also provides credit bureaus, website development and hosting, internet leads, and direct mail services to help dealerships increase traffic. Learn more about ProMax Unlimited and Dealer Marketing Services, Inc. at www.ProMaxUnlimited.com.